John Adams is rejoining Davies Turner as head of trade, Middle East, Indian Subcontinent, South Africa and emerging markets at the forwarder’s ocean management team. He spent seven years at shipping line, MSC, and is replacing Todd Moore, who retires this month. 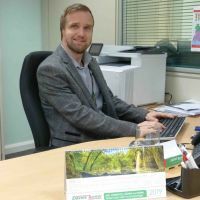 Previously, Adams spent five years at Davies Turner in a sales development role.